For millennia, the canyon has existed untouched amidst the elements, sculpted by water and wind, stacked in ever more layers of multihued rock, drawing wonder and awe from those fortunate to plumb or peer into its storied depths. Yet the Grand Canyon as we know it – raw, rugged and largely free of visible human impact – is in jeopardy. 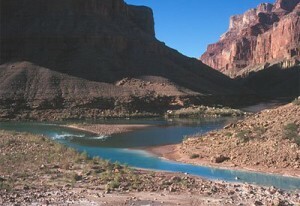 In fact, the Colorado River in the Grand Canyon tops the 2015 list of America’s Most Endangered Rivers, an annual effort by the conservation group American Rivers to heighten awareness of rivers facing urgent threats. The confluence of the Colorado and Little Colorado rivers, site of proposed Escalade development. 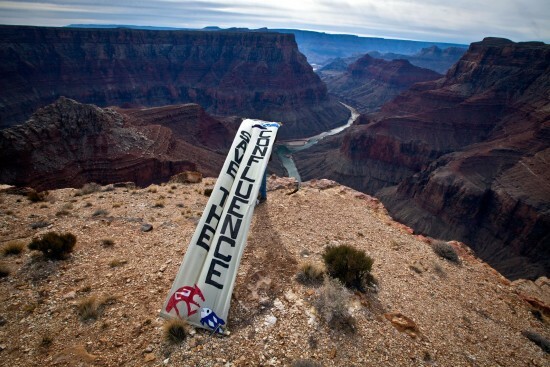 Photo: Save the Confluence. 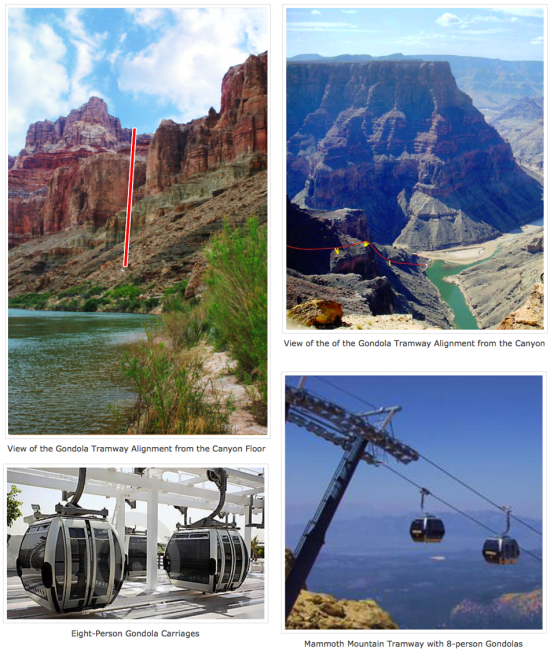 At issue is an enormous proposal to develop industrial-scale tourist attractions on the canyon’s east rim, including facilities in the very heart of the canyon floor. 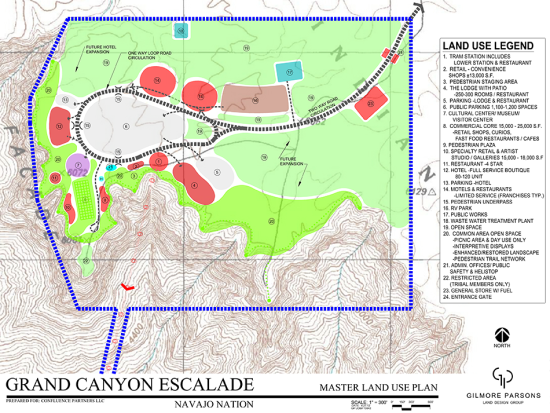 “Grand Canyon Escalade” is a proposed 2-million square-foot construction project on 420 acres of Navajo tribal land that abuts Grand Canyon National Park, about 12 miles east of Grand Canyon Village on the South Rim. The centerpiece of the $500-million-plus project is a 1.4-mile gondola tramway descending 3,200 feet to the bottom of a slot canyon at the confluence of the Colorado and Little Colorado rivers. The scenic site is sacred to many members of the Navajo, Hopi, Zuni, Havasupai and other tribes, who regard it as their place of origin from the underworld. An 1,100-foot elevated walkway along the river would be constructed at the base, along with a food pavilion, amphitheater and restroom facilities.Currently, the canyon floor is accessible only on foot or by mule. From the rim, it is a 7-mile hike to the confluence site. The tram ride would take about 10 minutes. The project would also include resort hotels, an RV park, retail shops, IMAX theater and a Navajo cultural center and museum on the rim. The developer, Confluence Partners, an Arizona-based investment group, is headed by R. Lamar Whitmer, a Scottsdale businessman. However, it must be approved by the Navajo Nation since it would be built on their land. 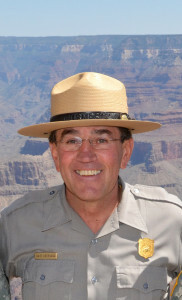 The proposal has split the Navajo community and caused disputes over land rights between the Navajo Nation and the U.S. National Park Service. Ben Shelly, president of the Navajo Nation, supports the project and wants the tribe to provide the $65 million required from the tribe for road, water and communication facilities to the remote site. Proponents argue that managing tourism would give the Navajo greater control over access to the area, keeping wayward visitors out of sacred spaces. They also believe the project would benefit Navajos economically, providing much-needed jobs and a share of gross revenues. But opponents question just how much local people would gain economically, and contest the belief that any advantages would be worth the cultural and religious sacrifices involved. A grassroots opposition group called Save the Confluence was formed to fight the project, with regular updates provided to nearly 6,000 supporters on its Facebook page. 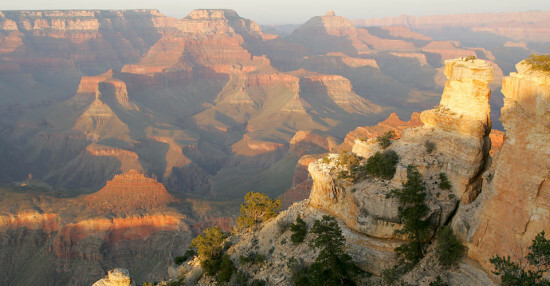 Conservation groups including the Grand Canyon Trust are deeply concerned about the impact of the proposed development, which would be built about 10 miles east of the famous Watchtower on the South Rim. Concerns encompass water depletion that could dry up springs and oases in the canyon, noise generated by the mechanized tram, light pollution, commercial clutter and the “Disneyfication” of an area that has previously been revered as a place of silence and undisturbed nature. “If it does become a reality, I think it will be a travesty for the American people,” Uberuaga told NBC News, whose video story on the controversial project shows an animated visual rendering of the proposed plan. In addition to these projects, there are other threats to the Colorado River and the Grand Canyon it has carved. Uranium mines on both rims put clean water at risk from radioactive contamination, and proposals exist to reopen inactive mines and expand operations at currently active mines. 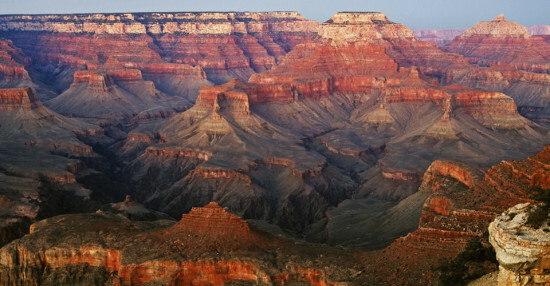 A current moratorium on uranium mining around Grand Canyon applies only to new mining claims. Nature travelers concerned about the fate of the Grand Canyon are invited to sign the Grand Canyon Trust’s petition to policy makers urging the Obama Administration to take action to protect the river and region through federal intervention. 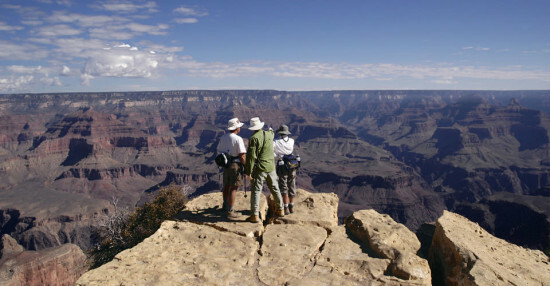 While we at Natural Habitat Adventures hope the Escalade development never comes to fruition, we invite you to see the Grand Canyon – one of the Seven Wonders of the Natural World – as it is now, on an intimate, small-group, low-impact ecotourism adventure through the Canyons of the American Southwest.